Canon 100-400 II with 1.4x Extender - You won't believe this! 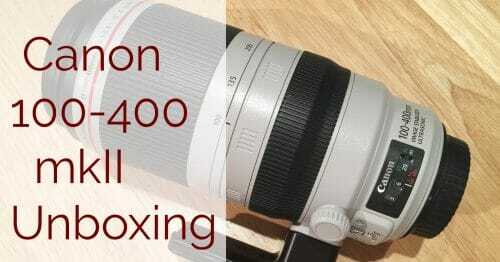 Home » Gear Check » Lenses » Using The Canon 100-400 f/4.5-5.6 L IS II With a 1.4x Extender – You Won’t Believe This! 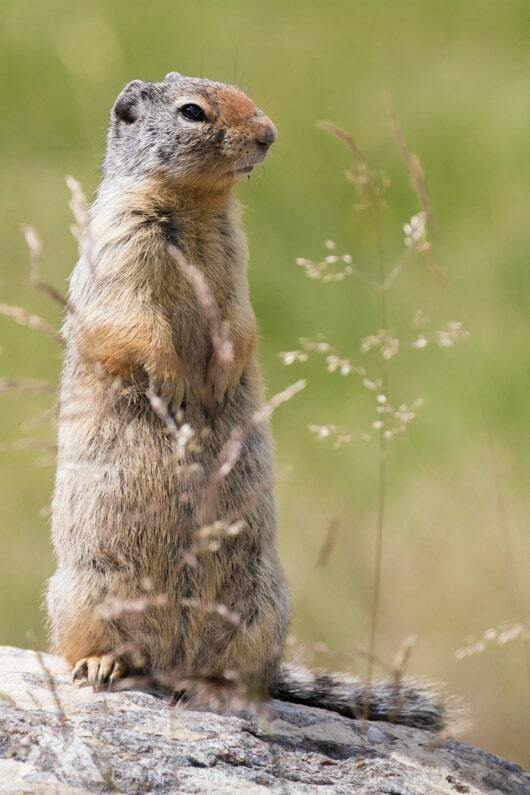 I’m currently shooting in the Canadian Rockies again and wildlife is all around me. Whilst I have my big Canon 200-400 with me, I’ve mainly been shooting with the amazing Canon 7D Mark II and the new Canon 100-400 f/4.5-5.6 L IS II. This combination get’s me to a 640mm equivalents, in a hand holdable package and the image quality is every bit as good as the $12,000 200-400mm lens (my Canon 200-400mm review). Yep, you read that right. I was curious what the performance would be like with a 1.4x extender, which gives an equivalent focal length of 896mm and a minimum f/8 aperture. When I first tried this, and looked at the photos, my eyes popped out of my head! Even wide open at f/8, this is a more than useable combination. In fact, it’s sharper than my old Mk1 300mm f/2.8 IS with a 1.4x extender on it. This new 100-400 is rapidly becoming my new favourite Canon lens. I know that a lot of people aren’t going to believe me when I say this this combination is this good, so I’m including some images, with 100% crops. These images only have the default sharpening from Lightroom applied to them and they were all shot with the 7D Mark II. Now, this camera is VERY good, but it doesn’t resolve fine details like a full frame camera does, so had I taken these shots with my 5D, or a 1D, these would have been even sharper! Considering these were both taken handheld, at close to 900mm out of a car window, I think this is astonishing performance! Every Canon wildlife photographer should have this lens in their arsenal, and it’s very rare that I say things like that so definitively! Will Your Camera AF at f/8? Not sure if you will be able to maintain AF with your camera, and the combination of the 100-400 + extender? Since this is a question that was asked so often in the comments, I have created a resournce to list all cameras that will maintain AF with a lens+extender combination that delivers a max aperture of f/8. 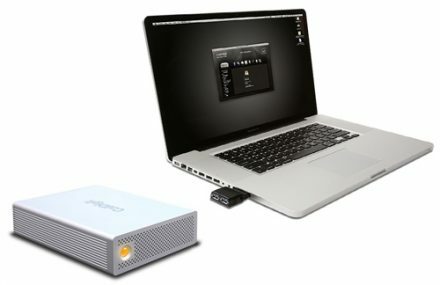 CalDigit AV Drive review. USB 3.0 comes to the Mac! Thanks for sharing this Dan. I’m awaiting delivery of the same lens to use with my 5D3 and 60D. Really looking forward to it. What ISO were these shot at, just out of interest? 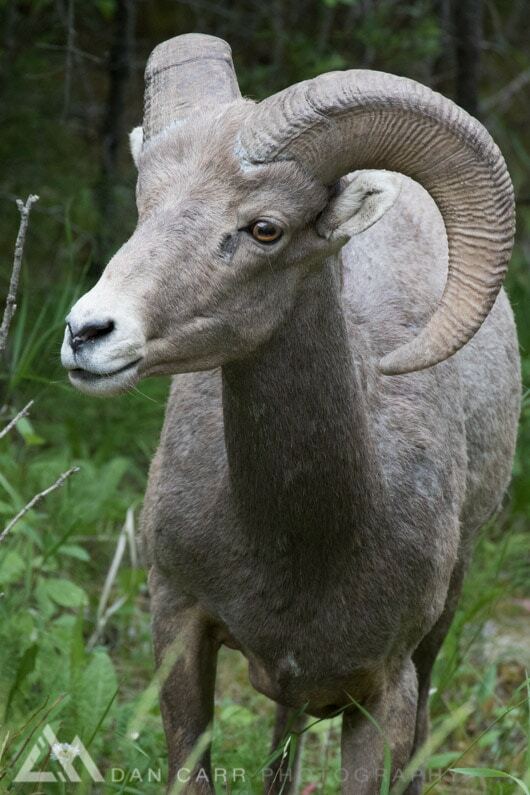 The horned sheep was ISO2000 and the ground squirrel was ISO1000. Thanks! What model/version of the extender were you using? Will the 1.4x II work? I used the 1.4x III. The MK II version will work, although I can’t guarantee it will be quite as sharp. There was a small sharpness improvement from II to III when used with most lenses I think. Is there a particular rain sleeve/ cover you find helpful for the 7d2 Canon 100-400 2 combo? It’s always a hard thing to quantify, but my feeling is that it’s no faster in acquisition than the Tamron. 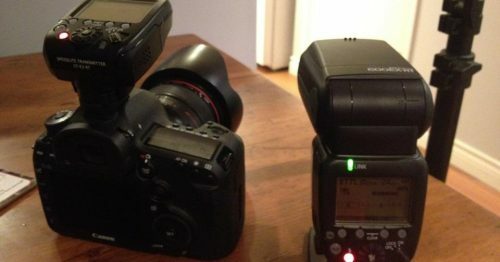 Battery grip doesn’t change performance as far as I know. Great idea if you have that opportunity! My gut tells me you’ll like the IQ, but with the TC at 400mm I’m not sure AF will be better. F/8 just doesn’t let a lot of light in to the AF sensor, that’s the real issue. I have the EXACT same setup, and just came off an amazing shoot of a Great Grey Owl. However, every once in awhile, especially when I clear camera settings, or even something as simple as formatting a card, it sets my system back to a low aperture of F6.3 which is not possible for this setup correct. It seems to work itself out and ends up back at the F/8, but not before I sometimes miss THAT shot, any idea why? Signed out of ignorance & a amateur. Hi Dan, like your reviews. I have a 5d mk111 body, with a 70-200 2.8 mk2 and a 100-400 is mk2. i bought a mk2 2x teleconverter which works ok on the 70-200 but i loose af when i use it with the 100-400. if i get the mk3 1.4 tc will i still have af. if it does it will save me some money as I’m thinking of buying the Sigma 150-600. Be great full for you thoughts.Thanks. Hey John! Thanks! If you use the 100-400 with the MkIII 1.4x, you will have AF on a 5D Mark III, but only using the centre AF point. This combination gives an f/8 minimum aperture, and so far the only camera that allows you to use all AF points with an f/8 lens is the shiny new 1D X Mark II. Hi Dan, I can’t get the 1.4x mk3 extender to AF with my 5d mk3 although you are not the only one to tell me it SHOULD work with centre AF point – fitting the extender seems to default the camera to MF on the top window. Well that is VERY strange. It certainly should work. I’m afraid that the only thing I can suggest is to thoroughly clean all the AF contacts on the camera, the lens and both ends of the extender. If there are AF/MF issues then this should always be step one. Use a lightly dampened cloth to gently rub dirt off the connections. If it’s really bad then I think some people suggest a little great remover or WD40. Just make sure you are very careful not to get it anywhere but the AF pins and contacts. I had the same problem, which was easily solved by updating the firmware on my mark III. Hey! Yeah it would make a great partner to the 80D. Canon actually added a new feature to the 80D which was not in the 70D, and that is the ability to use autofocus with an f/8 max aperture lens combination. This means you can use the 100-400 mk2 with a 1.4x extender and still maintain autofocus. I think you would appreciate the added reach the extender will provide when it comes to surfing. Killer combo! And 80D with 2.0 extender??? Autofacus?? I have the older version of the canon 100-400mm lens. Dan, I have the older version of the canon 100-400mm lens, I think it’s the mark 1. Can I use the Canon 1.4x autofocus extender on that lens? Yes you can, although the AF speed, and the image quality is not on a par with the new MKII version of the lens unfortunately. It’s useable on static subjects if the IQ is to your taste, but perhaps make sure you purchase from a place with a good return policy so that you can test it when it arrives to see whether you will be happy with it. Hi Dan, very interesting read, thanks. I have a Canon 50D and 100-400mm Mk I and get reasonable results from this combination. Do you think adding a 1.4 extender would help or hinder ? If I were to replace the 50D with a 7D MkII (big if !!) would this improve image quality or would upgrading to the 100-400mm MkII be the best option….could not afford both unfortunately. The extenders don’t work that well on the original 100-400 unfortunately. My gut would be to upgrade your lens because then you have that lens for the next 15-20 years and it is always going to be stellar. Cameras come and go at a much faster rate and the 50D is still great. The 100-400 MKII with an extender will be a combination you can rely on for many years to come. Then maybe in a few years you can get a new camera at that point. Hi John, I have the new 100-400 mk11 and put it on my 50D and found the camera struggled to make the focus change from close up and then to distance. I had to focus manually to get fairly close to focus and then the camera would finally snap on the subject, very frustrating. Also, the 50D struggled to lock onto to small objects in the sky ie a bird with the setup continually hunting. I decided to upgrade to the 7Dmk11 and was relieved to find this combo worked brilliantly, from mfd to infinity in a snap and amazing focus on the tiniest object in the sky. The 7D Mk11 is a great camera and the 100-400 Mk11 is a fabulous zoom lens which I have absolutely no regrets upgrading from the original 100-400 which was also a cracking lens. Thanks Dan, that sounds like good logical advice. Regards. You’re welcome, John! Let me know how you get on if you make the upgrade. At present I’m using the Canon 70d with the 100-400 mk2 to great effect but I’m looking to upgrade as I want AF with a 1.4 converter as I’m now doing a lot of wildlife photography and was looking at the 7d mk2 but I also do a lot of self take trophy shots whilst fishing as well so the flip screen is perfect. It’s just a shame that the 7d doesn’t have this option and of course the extra 3 fps of the 7d is very inviting but I think the versatility of the 80d might just swing it but I would value your opinion ? Interesting conundrum! I think you’d be very happy with the 80D. The 7D Mark II is a heck of a camera, but it is overkill for many people unless you are really not worried about money, or are making money from your photos. To me, sounds like the 80D upgrade would be nice for you. That goat is from a display in a museum, fake. Hah, no it isn’t… it’s a real live animal. The photo was taken on the side of the road next to Radium Hot Springs in British Columbia. 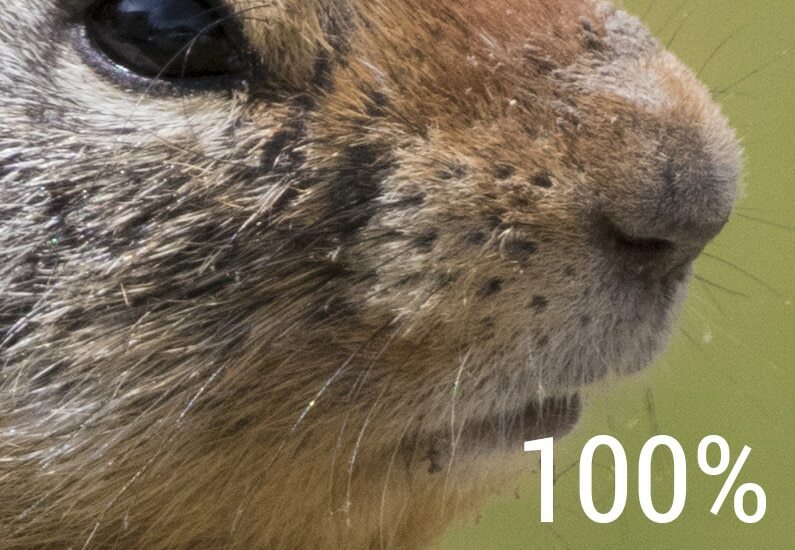 If you’d like me to send you the other 100 photos of the same animal eating grass, feel free to email me. Hi I have canon 7d M2 with Canon 100-400 f/4.5-5.6L IS II Camera and Lens. 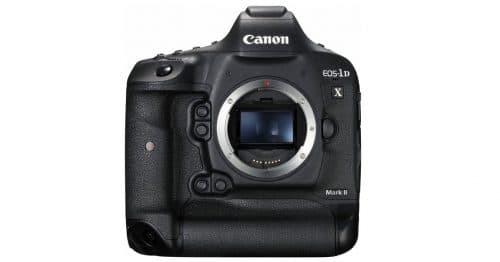 Is it compatible with Canon 1.4 iii or 2x Extenders ? If above both is no what is the best Extender for my units. You can use the 1.4X extender and still get autofocus. But if you use the 2x extender you will have to focus manually. That is just a technical limitation of the camera, nothing to do with the extenders specifically. I am planning to buy 1.4x extender. I use 100-400 mk2 with canon 7D. My question is will my body support the converter? With the 7D, you would not be able to use autofocus with that combination as the 7D doesn’t support AF at f/8. Hey Sheldon! It will physically work, but you will not have any autofocus capabilities with that camera unfortunately. Hey Dan, I’ve been wanting to upgrade my rebel t3 I used on a Polarbear trip I just got back from (saw some of the other toys being used) Will be doing mostly outdoors stuff. I’ve deceided on the canon 100-400 mark I with 1×4 converter. My big canumdrum is the body-7d2 or 80d ? I’ve seen some good deals on the 80d kits- 7d2 more money and only the body. I’m pretty much a novice(rebel t3) 7d2 may be over kill for me? Money difference would go to the glass. Could afford either or body’s , your thoughts .Thanks Gary . Hello Dan, I’ve got a 6D and to go with it a Canon EF 100-400mm f/4.5-5.6L IS II USM to take pictures of big wave surfing! If I buy an extender will I loose AF? Thank you! The 6D does not allow AF at f/8 unfortunately. It is one of the distinguishing factors between it at the 5D line. Thank you Dan, maybe I’ll upgrade to a 5D! Hope you will try the new 5D M iv with the 100-400mm M II and the 1.4x M III With the f8 auto focus this should be amazing. I’m likely to buy in the new year. I have the 5D Mark IV so yes, I have tried it. It’s a great combination! I’ve got a 5D Mark II recent firmware upgrade and the Canon 100-400mm f/4.5 -5.6 Mark II lens. I’ve been testing it out and finding that I’m unable to get quick auto focus also testing stabilizer 1 to 3 and it’s not in perfect focus. I’ve been shooting wildlife from a boat and also shooting whilst in a car. Do I need to get 1.4 extender for my camera to operate my lens into auto focus to get a he best results? As I’ll be traveling to Antarctica soon would love to take shots from the zodiac boat as well as on land. This lens focusses very fast and it incredibly sharp. If you can’t get a sharp image with it then you either have a faulty lens (very unlikely), or your long lens technique is causing you to get soft images. This is much more likely! Lots of people struggle to get their technique on point when they move to a longer focal length. Make sure your shutter speeds are fast enough, and remember that image stabilization is only useful for shooting a static subject. It won’t stop the motion of something that’s moving in your image, like an animal, so you still need a fast enough shutter speed to freeze the motion of the animal (or other subject). Also found it really difficult to get auto focus using this lens with Sony a7SII metabones adaptor firmware has been recently upgraded. You simply won’t get good autofocus using a metabones adapter. It’ll never be as good as when using it on a Canon camera. They are not designed to be used on other cameras. 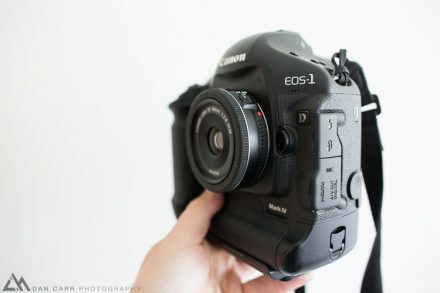 Does autofocus work with this lens with the 1.4 iii extender on a Canon 5D Mark iii? Only with one central AF point. Hi I have canon 7d M2 with Canon 100-400 f/4.5-5.6L IS II. I use the Sigma EX 1,4x APO DG teleconverter and it works great. Would it be even be even better If I by the Canon 1,4 III teleconverter? Or is it just the build quality? I don’t think it would be better image quality, but it might focus a little bit faster. If you are happy right now though, probably not worth changing it, unless you are finding focus to be slow. I thought about this lens, however Tony Northrup claimed in a review that this wasn’t sharp enough and to stick with the canon 400 prime and that it was much sharper.. What are you thoughts? It is quite unfair to compare the performance of a prime costing 10,000 USD (the sharpest telephoto prime in the world along with the 300 f/2.8) with a modest though very good zoom costing 2000 USD. I don’t know which other lens is as sharp as those two Canon primes I mentioned. If Tony was saying the 100-400 was not as sharp he was only stating the obvious. These are completely different lenses in every way – Prime vs zoom, fast vs slow (aperture wise), heavy versus light (relatively speaking) and super expensive versus affordable (again relatively speaking. The comparison has to be with other slow zooms from other manufacturers. Hey Tom, Swaranjeet hit the nail on the head here. It’s not a fair comparison at all. 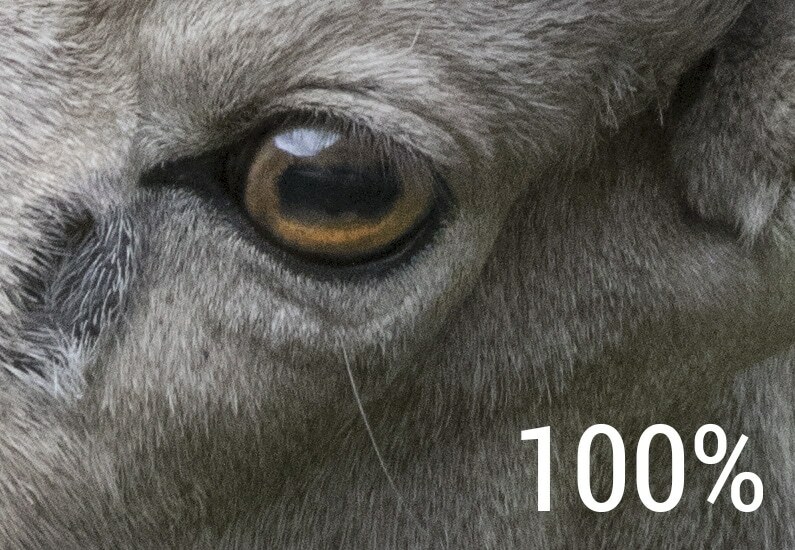 I own a Canon 400mm DO IS II, and the 200-400 f/4 and this little 100-400 is so close in terms of sharpness that I would have to examine the metadata of the image to see which lens was used. For the price, this lens is an absolute stunner. Tom, I have two canon telecoverters the 1.4 and the 2. I use them with my Canon 500mm f4, they seem to work ok. I have used the 100-400 canon zoom for about 15 years or so. I recently purchased aCanon 100-400 II. Would the 1.4 iii on the new lens, give me sharper results that the 1.4 i.
I don’t think it would be much sharper, but it would autofocus faster. The main difference between the various extender versions is the electronics in them to aid with AF speed on Canon’s newest long lenses. I have a 7D Mk.ii and 100-400mm f/4.5-5.6L IS II lens and absolutely love that combination. Occasionally (very occasionally) I have the need for some extra length over the 400mm. I am vacillating between the Canon 1.4x Mk.ii and 1.4x Mk.iii extenders. I have read that there is a major difference between the 2x Mk.ii and Mk.iii extenders but not so much between the 1.4x Mk.ii and Mk.iii models. The difference in price between a mint used Mk.ii and a Mk.iii is almost double. I can generally pick up a Mk.ii for a bit over $200 U.S. Dollars while the Mk.iii will run me right about, or just under $400. I think you can safely save your money and get the Mark II version. There’s very little difference from what I have heard. With the Mark III and the Mark II super tele lenses I have heard of some AF improvements, but AFAIK, that doesn’t extend to the 100-400. Great post and thread! Can you recommend a good bag for quick access whilst hiking for those opportunities that pop up? 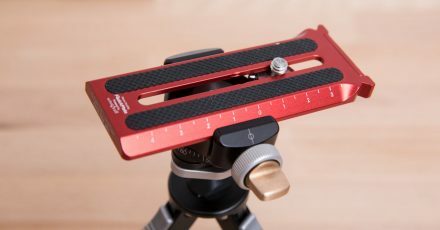 Using it with a 7dmk11 and possibly 1.4tele depending on the situation. Maybe a hip bag? Until a week ago, I have been using a bridge camera (SX60). I’m a brand new owner of a 7D Mk II and 100-400 II and I just ordered a used 1.4X II. My question is, when using the 1.4X, will the camera automatically choose the correct (center point) focusing mode, or is there something I will need to select? Question answered. The 1.4X came in, I mounted it, and PRESTO! One little box showed up in the viewfinder. A quick and dirty comparison between shooting with and without the converter and then cropping down to a subject in the center of the image showed very little difference in quality. Thanks, Dan, for providing all of this information! You’re welcome! Glad you got it figured out. Personally I prefer to use the TC so that what I see in my viewfinder is the final image in terms of composition. I find it hard to shoot wider, knowing I’m going to be cropping it later. I’m never as satisfied with the compositions, even though you get the ability to reframe things slightly during the cropping process. Do you expect the same stellar result if I replaced the 7D Mk II with an old 7D in the set-up? What compromises do i have to make in the combination of an 100-400mm Mk II + 1.4 extender + canon Eos 7d ?? The 100-400 mm lens MK I + 1.4 extender+ EOS 7 D MK I …..is also a no-go….? Correct, that’s a no go. I own the 7d mark ii and Canon 100-400 ii combination, alongside the 1.4 version iii extender (the same platform discussed in this article). I’ve only had the teleconverter for a few months. The zoom is phenomenal. I do, however, find the teleconverter lowers image quality noticeably, and shooting at F/8 aperture at dawn and dusk (often when the wildlife is out) requires high ISO and renders images that are a bit blurry/soft/pixilated. 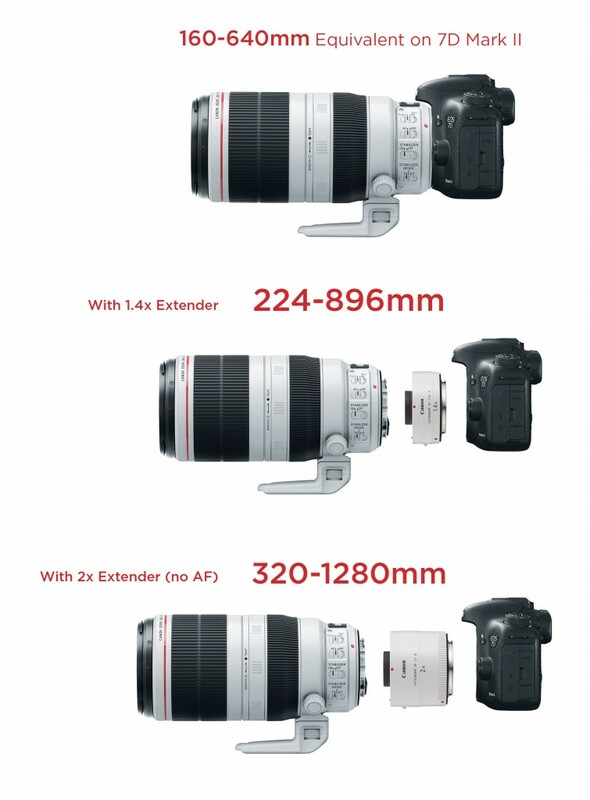 Long story short, first world problems here, but I’m thinking the better option for the 1.4 viii teleconverter would be the Canon 300 mm f/4 prime lens, or a higher prime (or even the 70-200 f/2.8 canon lens). Anything with a lower f/stop function really. Thoughts on this?! 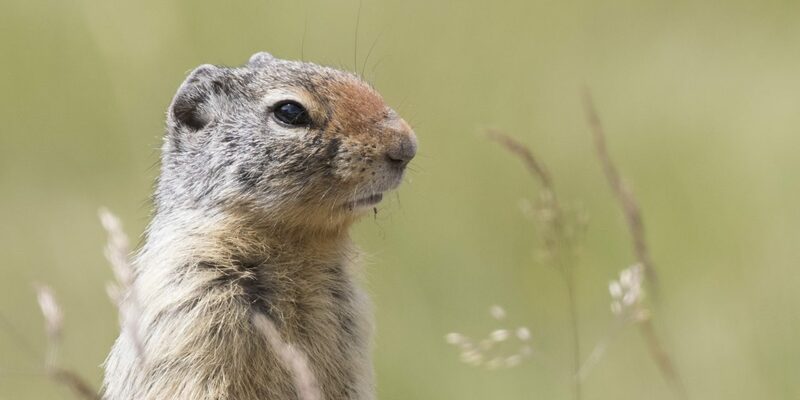 I note Tony and Chelsea Northrup somewhat discourage teleconverter use on crop-sensor bodies when wildlife photography is the goal and when shooting with non-prime lenses or lenses with a relatively high f-stop to begin with (https://www.youtube.com/watch?v=_Q0pH86s_6g). Thoughts on their perspectives?! Kind thanks for your time. Much appreciate your open feedback and reviews. Hi Ross. First up, no, do not use the 1.4x on the 300mm f/4. Been there, done that. It’s a 20+ year old lens and it doesn’t stand up to it. It would only give you 420mm equivalent anyway so you might as well just stick with the 100-400 which is just as sharp as that old 300 prime. Lenses have come a long way… Newer 70-200 2.8 II and III work well with the 1.4x but you’re not going to have a lot of luck with wildlife at those short focal lengths. I’m personally very happy with the IQ on this combination, so I’m not totally sure what could be causing your issue. Will email you so you can send me a sample. Regarding T&C’s video… yeah I mean nobody should buy a lens setup with the aim of always using an extender on it. It’s always better to use a prime or zoom that gets you there first. Extenders are used for emergencies, unusual situations. It happens rarely, but every once in a while I stumble over really useful, well written and thorroughly thought through content. Finding Shutter Muse is such an occasion. Thank for sharing all your wisdom with us and congratulations to your achievements. I guess a great part in this is your true and sincere passion for your work. Simply admirable. Since I had reach issues with 100-400 MKII on 5DMKIV, I recently picked-up 1.4x III. Have you encountered the same, could you please guide me. Thanks. I’m afraid I haven’t found those issues specifically. But a lens will always take longer to focus with an extender, and it will always take longer if you go from near to far or vice/versa. When you say it “fails” do you mean it never locks focus? Or it just takes a long time? Great reading guys. Got the 7d mkii and the tamron 70-200 G2. Nice lens for low light but AF (sport environment approaching you directly) and reach not that great. Even with 1.4 extender you loose a bit of quality. Got the canon 100-400 ii and the AF is amazing (same sport witch I tested 70-200) and even with the 1.4 extender the quality really great. The loss in quality IMO less than the Tamron setup. Will still test the AF in a sport environment.